Hi everyone, happy Monday! It's mid-day here and I wanted to share the card I made at a crop this past Saturday. I used Under the Sea Mae Clear Stamp from Some Odd Girl Stamps. I am in LOVE with this card. I was able to use the Martha Stewart Iridescent Hexagon Glitter, OMG this is the best chunky glitter ever! I started from the darkest blue, light blue and then went into the dark green then the light green, creating this awesome ombre effect. 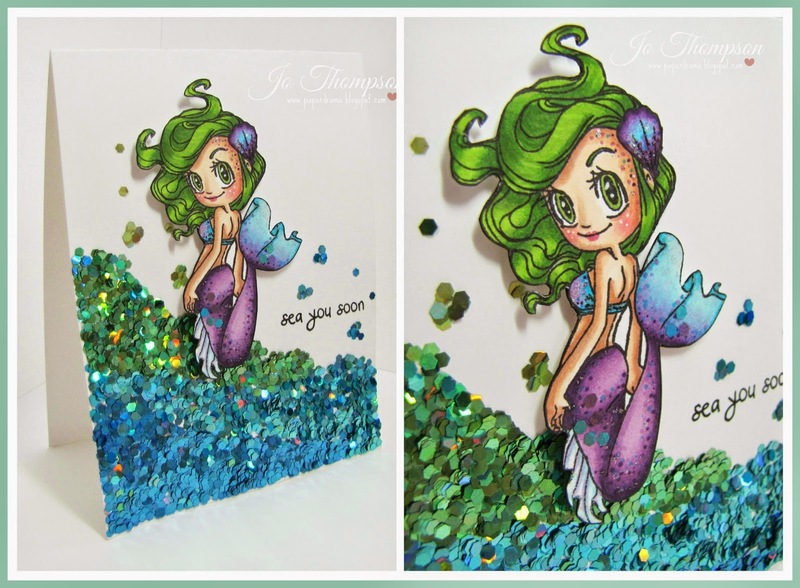 I used glossy accents to adhere the glitter on to the card base. I enjoyed coloring her with my Copics. I even added some of the glitter to her tail. I love to experiment with color techniques and just trying new things. This was my first attempt to blend blues & purples together. I just jumped right in and hoped for the best, SUCCESS! I also added some texture with the dotting technique. I've seen this done on many images and love the look. Another mermaid image comes in this stamp set, I can't wait to start coloring her! I might recreate this colored image in a video, so stay tuned on my YouTube Channel: Paperdrama. 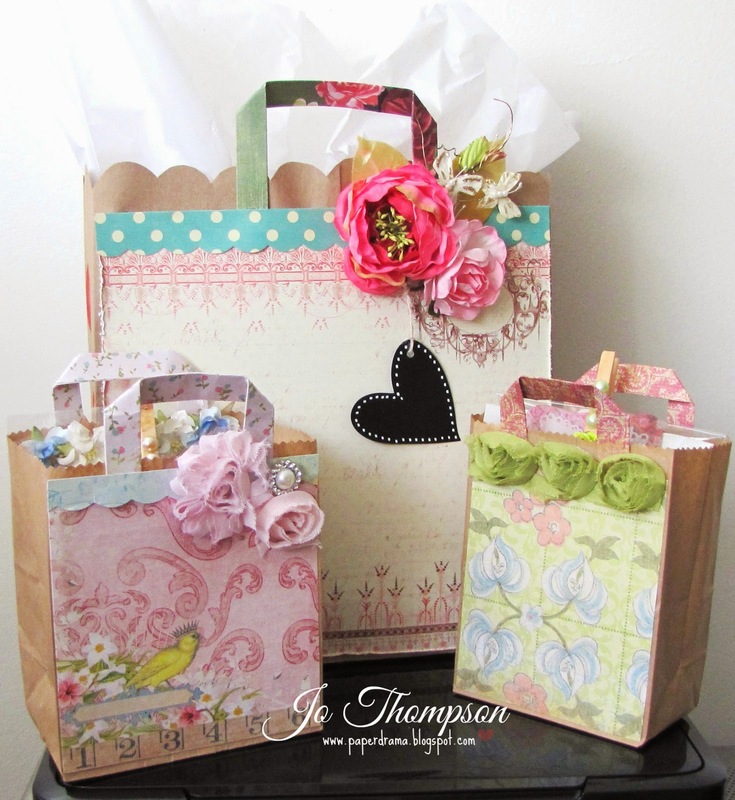 Hi everyone, I thought I'd share this mini tutorial of how I altered these bag handles from this grocery paper bag. I needed a huge gift bag and decided to upcycle this paper grocery bag from Target. First I cut of the old handles and set them aside. To make the bag cuter, I cut out a scallop design on the top. I then added the designer paper on both sides. I used the old handles as a template and created my own with designer paper to match. It turned out so cute and it just gave the bag more detail. You can watch my Start-To-Finish video at my YouTube Channel HERE. You can add handles to any size bag you want. Here, I added handles to these paper lunch bags. Hope you enjoyed my little share with you. Enjoy the rest of your week! Happy Friday everyone! Last minute I wanted to share the card I made today. Also I decided to put a video up of the card/coloring process (**CLICK HERE**). Before I forget, I am trying out a new cardstock. It is Recollections 110lb White Cardstock bought at Michaels Craft Store. I wanted a thicker card base for white cs and for my one layer cards, so I wanted to give this a try. Here are my thoughts: It works beautifully with my Copics. Unfortunately it still bleeds through the underside of the image. My go-to Copic paper is the Neenah Solar White Smooth Cardstock, BUT for the price w/40% coupon and a whole ream, I would totally reccommend this Recollections brand. There is a slight texture to the cardstock but not that noticeable. 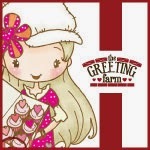 The image is the cutest from Sister Stamps - Minako. 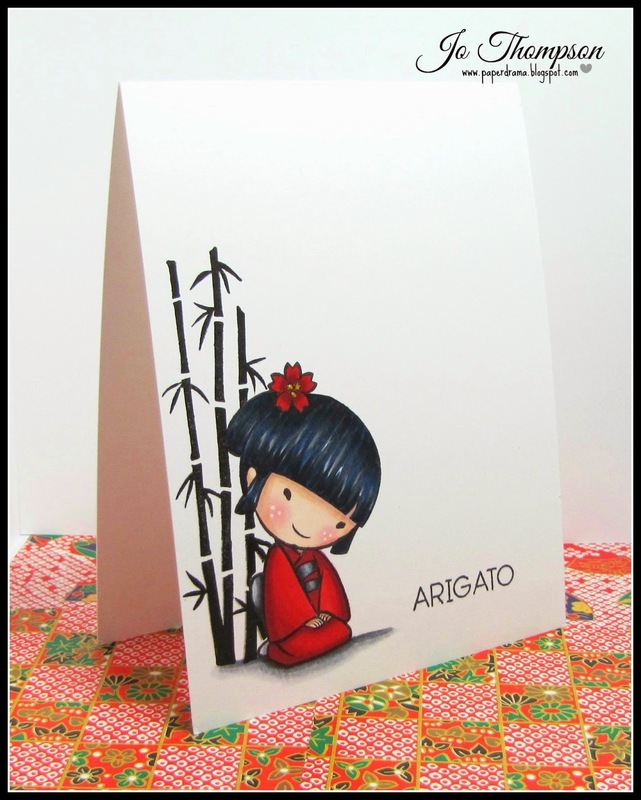 Even though I am no longer a Guest Designer, I still love creating with their stamps! Happy Sunday Friends! 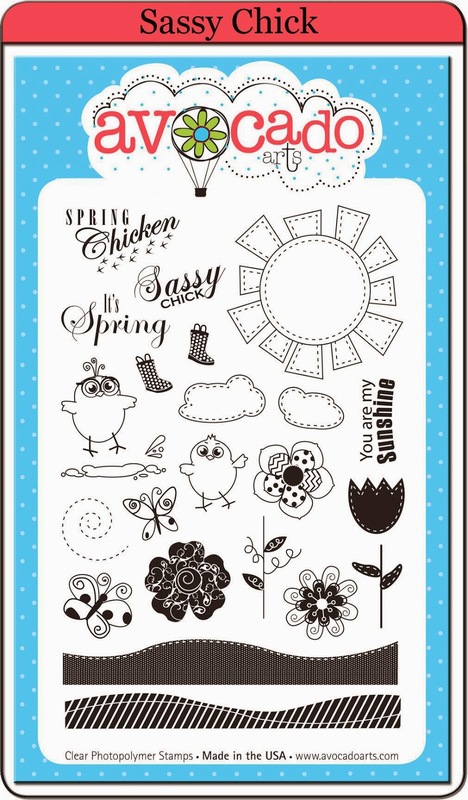 I am showcasing the Sassy Chick stamp set today. I am in love with these stitched clouds, so I added some faux stitching along the border and made it look like the clouds were hanging by stitches. I made a hillside backdrop and added the butterflies that come in the set. I wanted the sun to be the focus on the card, so I made it the only colored image. 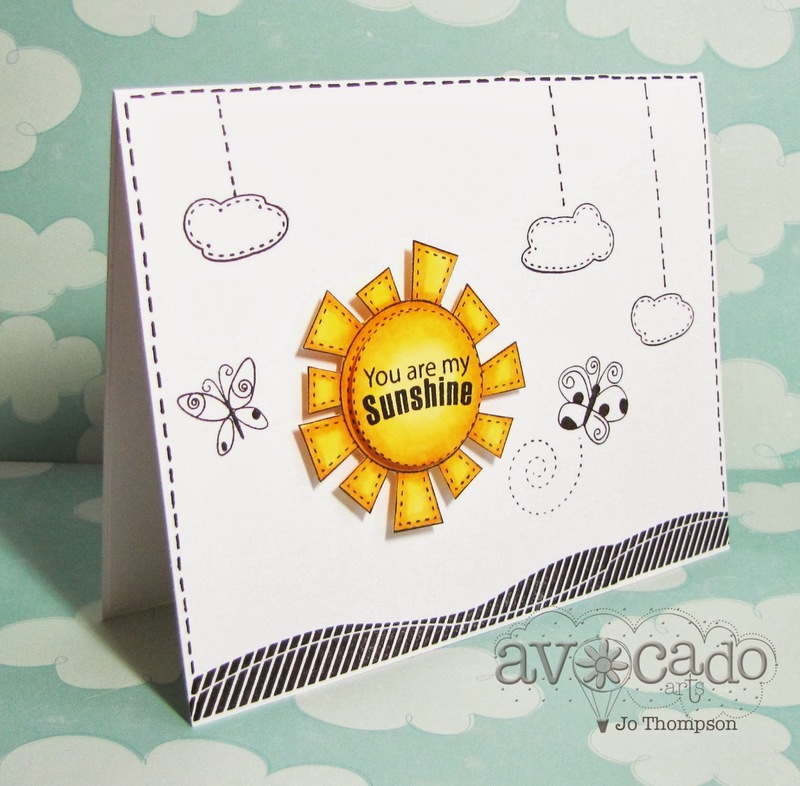 It is placed on dimensional pop dots and I stamped the sentiment "You are my Sunshine" on a separate sun image and punched it out with a 1/8" circle punch, perfect fit for the center. 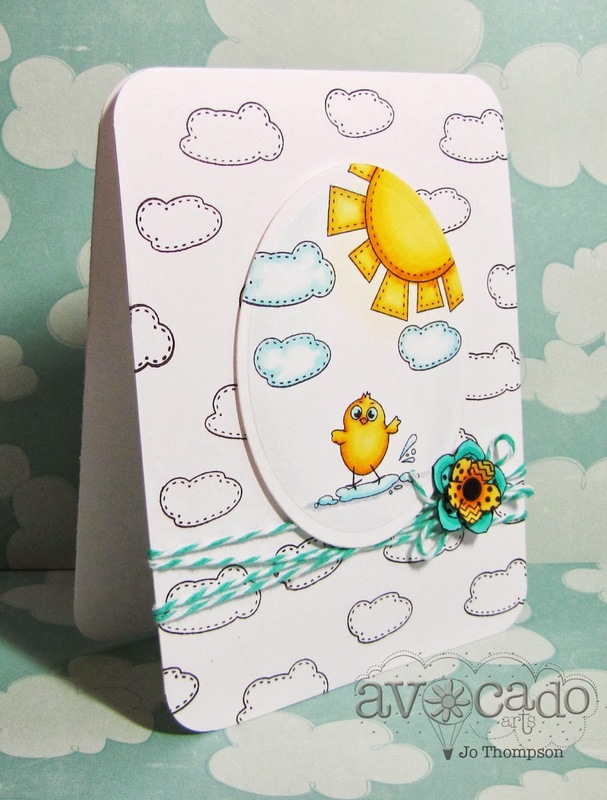 For my second card, the only dimesional embellishment are the layered buttons in the center of the sun image. There are the stitched clouds again =) I used the "It's Spring" sentiment on a little flag banner. The tulips in the set are stamped along the bottom for a floral garden border. Last but not least, here is my third card for you. I colored a little scene using the sun, the clouds, the littlest chick and the water puddle. He is just having a blast in that water. I used an oval die to cut the image out and placed it on dimensional pop dots. By sheer coincidence the shape mimics an egg, who knew?, not me until a fellow Designer Cristal pointed it out! I went to town with those clouds in the backgound LOL. I wrapped some teal twine around the card. The flower is from the stamp set and I colored two of the same image with different colors and layered them together. The ladies are really rockin' this stamp set. 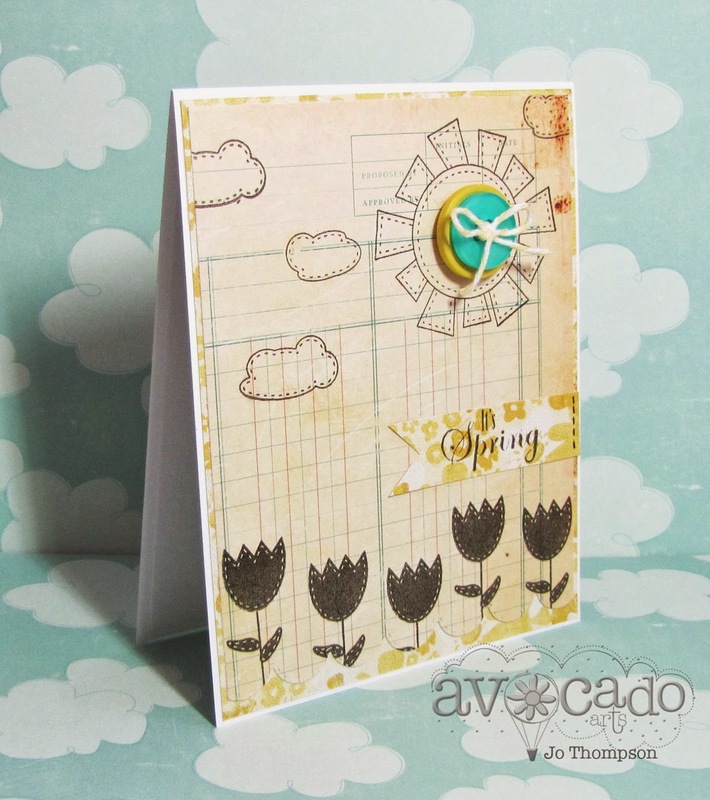 Visit the Avocado Arts Blog more inspiration from the DT gals. 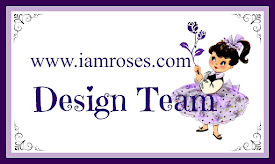 Hello, it's a new project from me today hosted by I Am Roses. 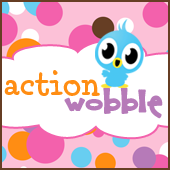 This a new challenge brought to you by Designer Donna Smith. Each Designer picks a Color Combo and creates a project. 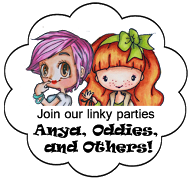 The awesome winner of the challenge will win the Color Combo of their project. My colors are PINK & PURPLE! I created a mini 5x7 Mix Media Canvas. 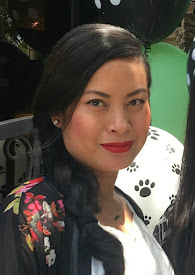 I used my homemade texture paste and stencils. I used a lot of Lindy's Stamp Gang sprays. I used a mixture of Curly Roses, Rose Buds and Paper Flowers for my choice of Pink & Purple flowers. This was a fun challenge. Do you want to win these colors, pick my color combo! 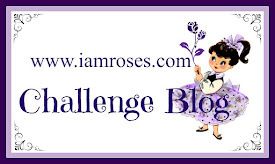 Go to the I Am Roses Challenge Blog for more details on this month's IAR Designer's Challenge.